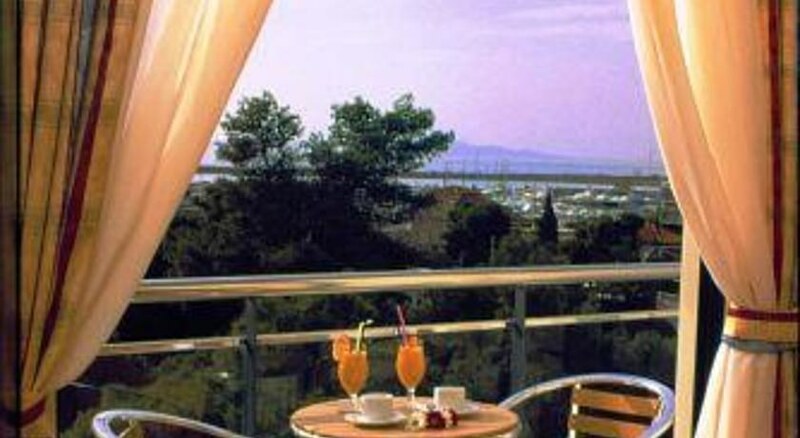 Situated on the seafront, Palace Hotel Glyfada offers rooms with furnished balconies overlooking the Saronic Bay. A restaurant and a swimming pool are featured. The airport bus and the tram stop nearby. A buffet breakfast is served daily. Guests can have lunch or dinner at the Inn Restaurant by the pool. The bar serves drinks and cocktails 24-hours a day. Room service is also available at Palace Hotel Glyfada Athens. 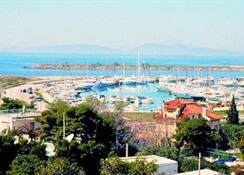 Glyfada is an upmarket suburb of Athens with many dining, shopping and entertainment options. There is also a golf course next to the Palace Hotel Glyfada. Athens city centre is 12 km away. Free public parking is possible on site. This air-conditioned hotel comprises a total of 72 rooms on 6 floors. Guests are also provided with an entrance hall with 24-hour reception, a hotel safe and lift access. As well as a restaurant and a bar there is a conference room for up to 70 people and office services are provided. 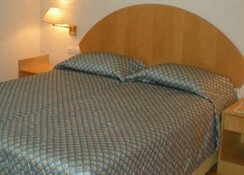 The hotel also offers 24-hour room service, laundry service, medical assistance with doctors on call and childcare. Guests can also hire a limousine if they wish.